Winter driving. 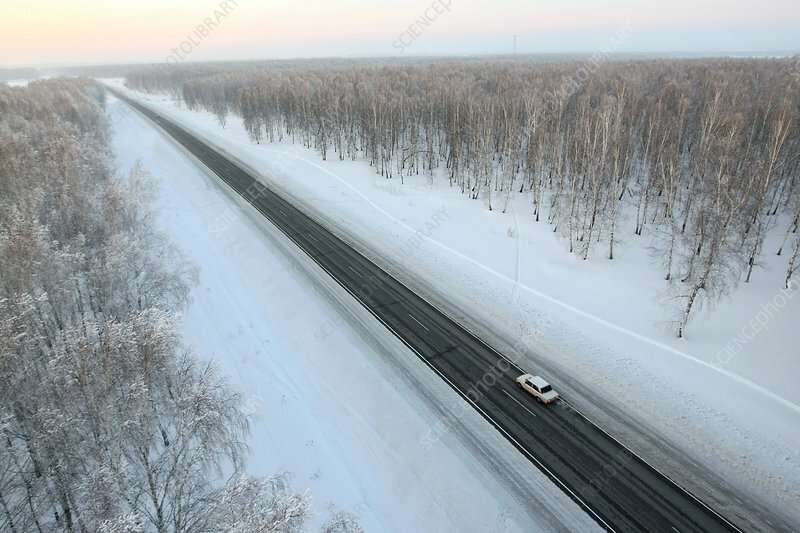 A car on a highway through a snow-covered forest in winter. The road has been cleared by snow-ploughs. Photographed on the Novosibirsk to Leninsk-Kuznetsky route in Siberia, Russia.